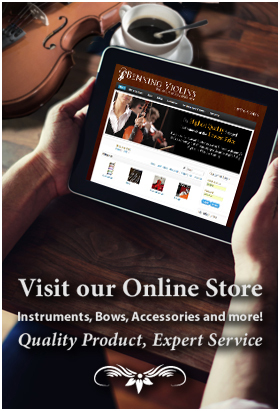 Violinist Tamamo Someya Gibbs began taking violin lessons at the age of three. At age six she entered the Tokyo College of Music Prep School, where she received training in violin performance, aural skills, and music theory. Her secondary and post-secondary education took place at Toho High School, and Toho College of Music, respectively, under the guidance of Kenji Kobayashi. Upon graduation, she was offered a position with the Shinsei Japan Symphony Orchestra, with which she played for several months, before she was invited to join the New World Symphony in Miami Beach as a Co-Principal Violinist. In 1995, she joined the Sacramento Symphony as a core first violinist, and at the end of 1996 she joined the first violin section of the Kansas City Symphony. 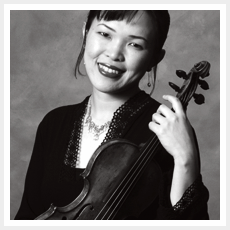 In 1999, Tamamo was appointed Principal Second Violinist of the Kansas City Symphony, the position she currently holds, along with the Co-Concertmaster chair of the Kansas City Chamber Orchestra. She has performed in Japan, the United States, France, Monaco, Israel, Brazil, and Argentina, and has participated in numerous music festivals including the Evian Music Festival in France, the National Repertoire Orchestra in Colorado, the Kent/Blossom Music Festival in Ohio, and the Grand Teton Music Festival in Wyoming. Past solo engagements include appearances with the National Repertory Orchestra, the Penn's Woods Music Festival Orchestra, the Kansas City Chamber Orchestra, the Overland Park Orchestra, and the Kansas City Symphony. Tamamo currently resides in Olathe with her husband Mark Gibbs (Principal Cellist, Kansas City Symphony), and their daughters Mika and Maho.